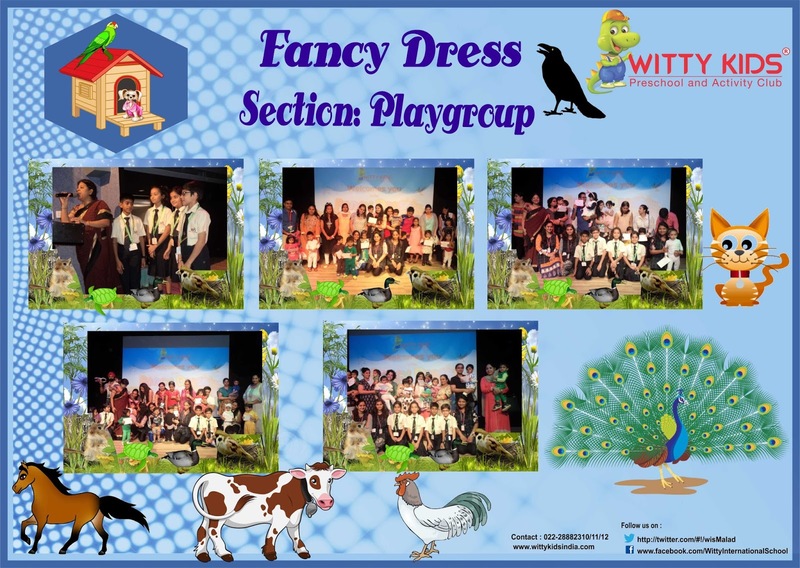 Witty Kids organised a ‘fancy dress’ event for the playgroup students of both the branches – Ramchandra lane and Bangur Nagar on 1st of August, 2015. The event was held at the Witty International School, Pawan Baug auditorium. Such events are planned to help children build confidence as well as to enhance their learning beyond the classroom setup. Fancy dress event allows a child to enjoy dressing up and represent an animal or a fictional character. It also allows their young imagination to grow. The event was an extension of the unit for the month – Pet animals and birds. 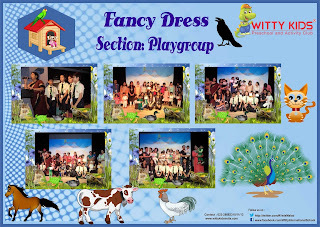 The little Wittians of Playgroup class came dressed up in handmade costumes made by the parents depicting a pet animal or a bird of their choice. The efforts taken by the parents and their enthusiasm in making this event a success was truly laudable.